Parks Canada may be in a race against time to research the HMS Erebus as rough Arctic weather conditions badly damage the seabed wreck — weather which is also delaying a comprehensive underwater investigation of the famed 19th-century ship. Last summer’s ice conditions — the worst in a decade — reduced an ambitious six-week research project to a two-day window for diving on HMS Erebus, and prevented any diving at all on the wreck of its sister ship, HMS Terror. Meanwhile, HMS Erebus is being broken apart by storm swells that roil the shallow seas where the wreck has been sitting for more than 170 years. “One of the main findings this year is that Erebus has deteriorated significantly,” Jarred Picher, Parks Canada director of archaeology and history, reported on Sept. 18. Picher’s comments were made to a committee overseeing the investigation of the two Royal Navy ships, which were under the command of explorer John Franklin in 1845 during his search for the Northwest Passage. The ships and their crews were never heard from again, their fate a mystery that is only now being uncovered. CBC News obtained the committee minutes and other documentation under the Access to Information Act. 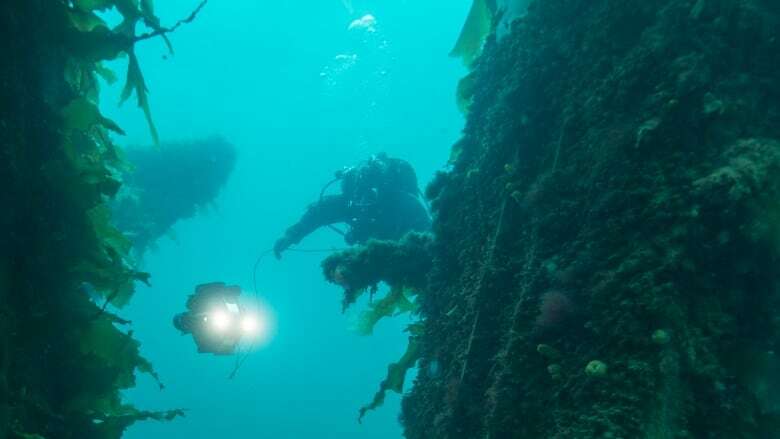 During their short visits to the HMS Erebus wreck on Sept. 11-12, divers found that a 14-metre section of the upper deck had become detached, flipped over and moved eight metres toward the ship’s stern. “An upwards buoyant force acting on the decking combined with storm swell in relatively shallow water caused the displacement,” said Stephanie McGlashan, a Parks Canada spokesperson. The rough conditions prevented divers from carrying out their plan to visit Franklin’s cabin on HMS Erebus. Nine objects were retrieved from the wreck site — partly because divers were worried that storm swells might knock them deep inside the lower, less accessible parts of the ship. Parks Canada is still finalizing its underwater research plan for this summer, but is expecting to launch a six-week project — largely reviving last year’s aborted plan — if the weather and ice conditions co-operate. Ryan Harris, Parks Canada senior underwater archaeologist, has said the agency will be “prioritizing” the investigation of HMS Erebus — which is relatively exposed in 11 to 12 metres of water — over that of HMS Terror, which is much more intact and — because it’s sitting in water twice as deep — is not as threatened by storm swells. Parks Canada’s research bulletin on the 2018 dives on HMS Erebus calls the deck section damage “surprising” and suggests archaeologists may have to consider dismantling upper parts of the ship themselves. Scientists have linked the shrinking annual ice cover in the Arctic to climate change, but ship navigation in the region can still be dangerous. Seven cruise ships couldn’t complete their itineraries last summer because of difficult ice conditions. And no tourist ships were able to visit Gjoa Haven, Nunavut, which is trying to establish itself as a prime Franklin-themed destination, with plans for a $6 million museum. Last year’s voyage to Gjoa Haven by Parks Canada’s research ship, RV David Thompson, was delayed three weeks because of unexpected ice conditions off Alaska and Yukon. The captain also had to cancel plans to carry on to the Eastern Arctic because of ice blocking the Bellot Strait passage. “Atypical ice conditions in certain areas were the worst seen in 20 years,” said McGlashan. The Canadian Ice Service does not issue its Arctic ice forecast until early June, so it’s too early to know whether Parks Canada’s Franklin program faces another challenge from the elements this summer. 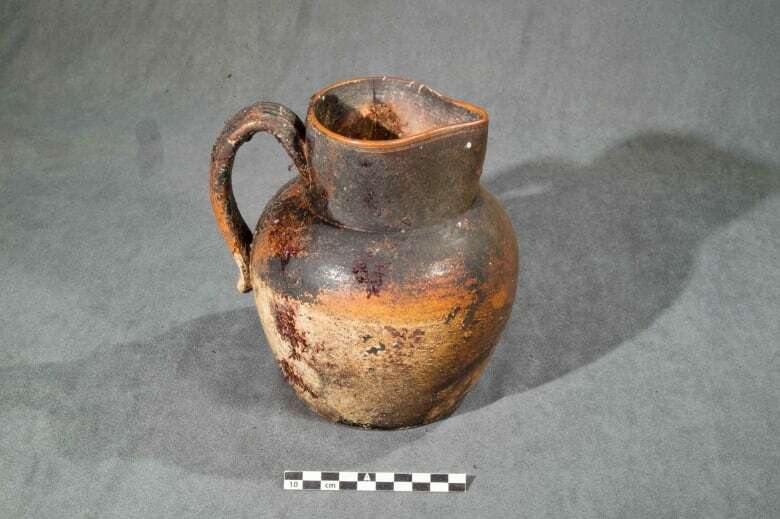 Meanwhile, work continues on investigating and preserving the nine artifacts recovered from HMS Erebus last September — including analysis of what remains of a liquid found in a stoneware jug plucked from an officer’s cabin. So far, no skeletal remains of any crew members have been found, though mitochondrial DNA was successfully recovered from a boot found in an earlier search. The analysis could not be precise about the geographical origins of the man who once wore the boot. The disappearance of the Franklin ships triggered a decades-long search for the crews beginning in the mid-19th century. Canada redoubled its efforts in 2007 to locate the missing wrecks. HMS Erebus was finally found in 2014, and HMS Terror in 2016, by drawing on Inuit traditional knowledge that previously had been overlooked or dismissed. The United Kingdom owns the first 65 artifacts brought up from HMS Erebus, but signed over ownership of the two wrecks and their remaining artifacts to Canada, which now jointly owns them with the Inuit.